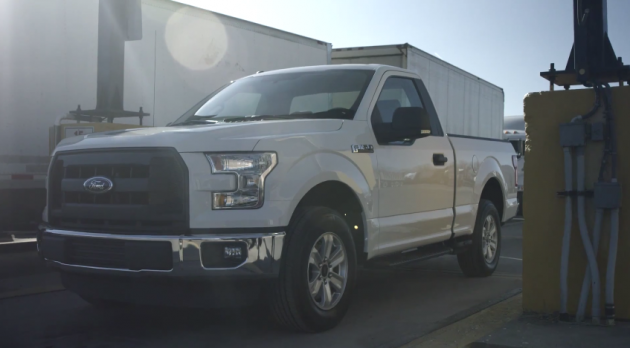 Can Four Power Wheels F-150s Support an Actual 2015 F-150? It may only be a toy, but the Power Wheels® F-150 is no slouch in terms of toughness. In its infinite wisdom and imagination, Fisher-Price® determined that the best way to put its latest truck for kids to the test was to put four of them beneath the wheels of Ford’s latest truck for grownup kids. On its face, setting a full-size pickup truck on top of a bunch of toy trucks doesn’t seem like a very smart idea for the toys. Fortunately, the 2015 F-150—while by no means light at 4,120 lbs—is 700 lbs lighter than the previous generation, which may have made all the difference in saving the proverbial bacon of four Power Wheels F-150s. 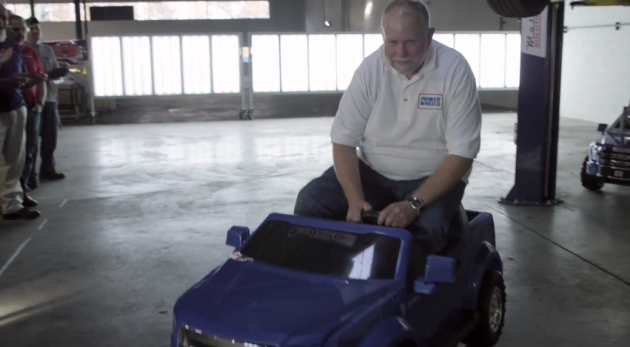 In the end, not only do the four F-150 toys take the weight without breaking, but they hold up in such a manner that Power Wheels’ Bill Howell is able to drive off into the sunset. That’s some serious performance that’s anything but child’s play.